Submit your own Fo76 Build Guide today. Use our Fallout 76 Builds Directory to find the best Fallout 76 character builds. These guides are planned in our Fallout 76 Build Planner and posted in the Fo76 Build Guide Forum by members of our community. Our Builds Directory reads all published Fallout 76 build guides and presents them in a special view with sorting (and soon filtering) to provide a more efficient overview. 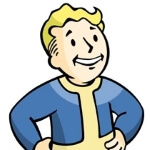 To determine your character build in Fallout 76 you distribute points in the seven S.P.E.C.I.A.L. attributes and choose perk cards that represent your abilities. The play style of your character strongly depends on the points (and the perk cards) so it really is good to have a plan before you just spend them. Important note: You can’t reset the S.P.E.C.I.A.L. points so once you spent them, they are fixed and can’t be changed later. Perk cards on the other hand can be changed whenever you want. In our Fallout 76 build directory you can find builds representing different play styles. At the moment you can sort them by votes and the date they were last updated – for the future more filter options are planned. If you have questions regarding a build just write a comment in the specific guide. You can do this as a guest or create your own account. As a registered user you can also vote build guides. All available perk cards in Fallout 76 are listed in our Fallout 76 perk database and in the Fallout 76 Perk Matrix you can see on which level you get access to which perk card. You created your own Fallout 76 build you want to share with the community? That’s totally easy! 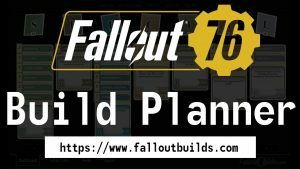 Just plan your build with our Fallout 76 Build Planner, copy the link and then go over to the “Create” form where you can write your guide. You can write it using the guest mode but you have several advantages when logging in with your account (you can register here). As a registered user you can edit your build guide any time e.g. to add more information. Furthermore you can vote other builds, write PMs and you can be mentioned by other users.